Last night (March 14), I kegged my Vitamin K Kölsch Clone. The beer had been in the primary for 13 days, fermenting from 1.045 down to 1.009. At 4.7% abv, this is exactly on target from the original recipe. Due to another beer in the fermentation chamber, I ended up not cold-crashing this one. The kölsch is delicious at this stage–clean and lightly fruity, which I suspect will only continue to improve as it matures. I was also impressed by how well the batch has clarified, resulting in a beautifully clear and light yellow beer. A good yeast strain (as an aside, the sulfur production for this one noted by White Labs was indeed prominent–but thankfully it dissipated by kegging time). This beer will be very nice for the upcoming warm months. I kegged just a touch under 5 gallons of beer, and am carbonating it at 13.5 psi at 42°. This is approximately 2.5 volumes of CO2. 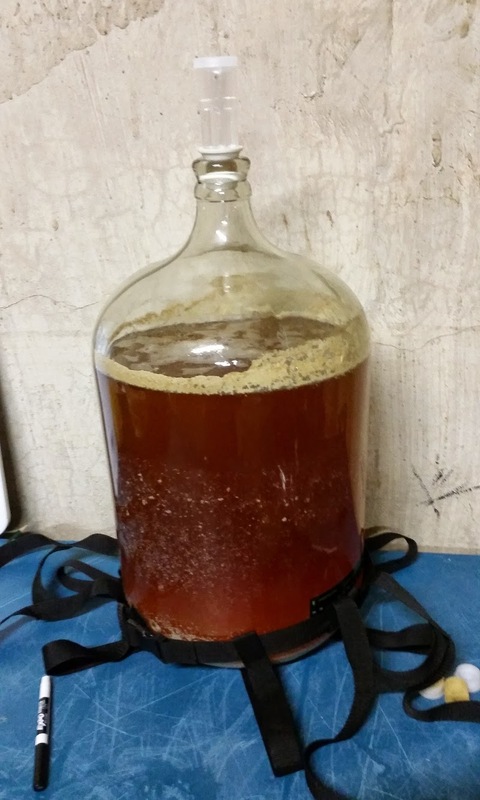 This entry was posted in kegging, kolsch and tagged Vitamin K Kölsch Clone. Bookmark the permalink.